Violeta Torres aka Violett developed her musical taste from her cradle on. 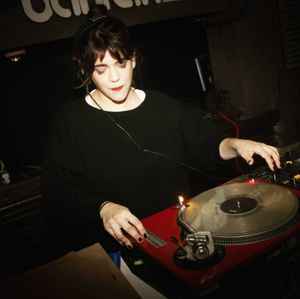 A soundtrack mixing Classic Music and Kraftwerk, also Jazz at her parent’s home founded her musical basis. At the age of 17 she discovered electronic music at the local underground scene of Buenos Aires which made her start buying & spinning the records herself, playing soon at some underground parties, clubs and outdoors events throughout the city, always maintaining a specific artistic conception of performance and music selection. 2005 she made her first steps as a producer, but quickly forcing up the pace she brought up a remarkable amount of renowned releases on different imprints such as Telegraph (France), Unfoundsound (Phili), Einmaleins (Germany), Lo Mid High (Dinamark) and contributed tracks to compilations from Harry Klein Networks, Lessizmore and Igloo Records, among others. With her particular music style, mixing from Dub Techno to Deep and minimal House, she became one of the most renowned (female) DJs on the South American continent, also, she participated several times at the prestigious MUTEK festival in Argentina, and played from Brazil over Chile, Ecuador, Peru, El salvador, Panama, at almost all important venues of the continent. After many tours in Europe, bringing her to Portugal, Spain, Italy, France, Holland, Belgium, Russia, Lithuania, Poland, Romania, Serbia, Austria, Switzerland and Germany it was just a question of time when Violett decided to focus on more projects to conquer the rest of the ears and hearts of the world. Under the influence of her curiosity she created a live session full of experiments. The sound of magnetic fields of the Northern Lights, overseas radio broadcasts and her own sound-creatures paired with deep beats and warm pads carries the audience off to a path where Deep and Techno go hand in hand. This Live act has been presented at PUNTO & RAYA festival (International Abstract art) in Buenos Aires, and Centro cultural Recoleta. (Cultural space). By the years she started a party called Classic Airlines in Buenos Aires. It is already 7 years and still running with some clear vibe, good intentions and a goal to bring some fresh artists and sounds to the city. In the past years she has been discovering a whole new world of graphic design and different digital art forms, being the co-author of the artworks of above mentioned cycle Classic Airlines as well as her newer event series called Sci-fi. One of Violett's intentions to make her friends and followers happy, she came up with a series of podcasts "Something For Your Week" including ambient and experimental soothing sounds and chill-out tracks for a relaxing moments in the everyday life.